Free Food Blog Design- Home page, Blog page presented by Free PSD Design Team. Once again we Came up with the design for the Foodies and Food Bloggers. The Design concept of Free Food Blog Design is for food reciepe bloggers, Free Food Blog Design is created with soothing color combination, flexible, pleasant and resourceful highly imaginative theme design for Free Food Blog Design. Enhanced with transportation user friendly design to showcase all your services viz. Recipe Images, Recipe videos, etc. Layered based PSD file you can easily change texts, content, images, objects. 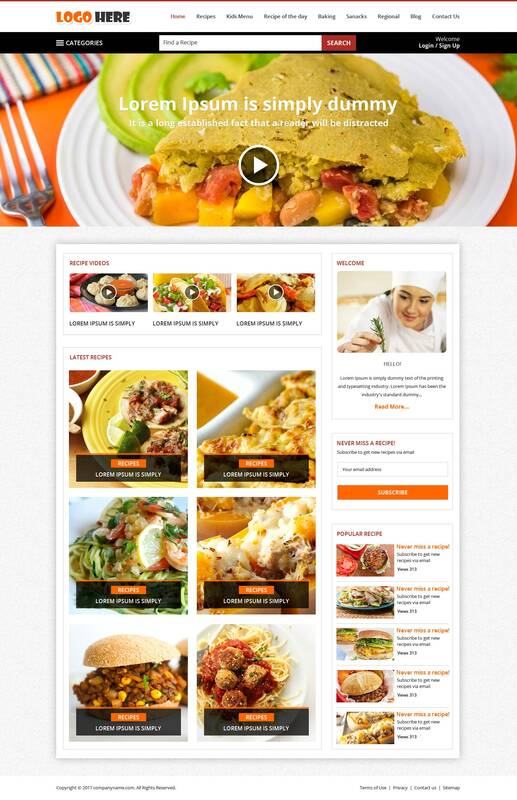 Free Food Blog Design is a crisp, Clean and sharp food and personal blog website Design PSD. Clean Design with show casing your food experience in blog and recipes, you can share your recipe go viral on social media.